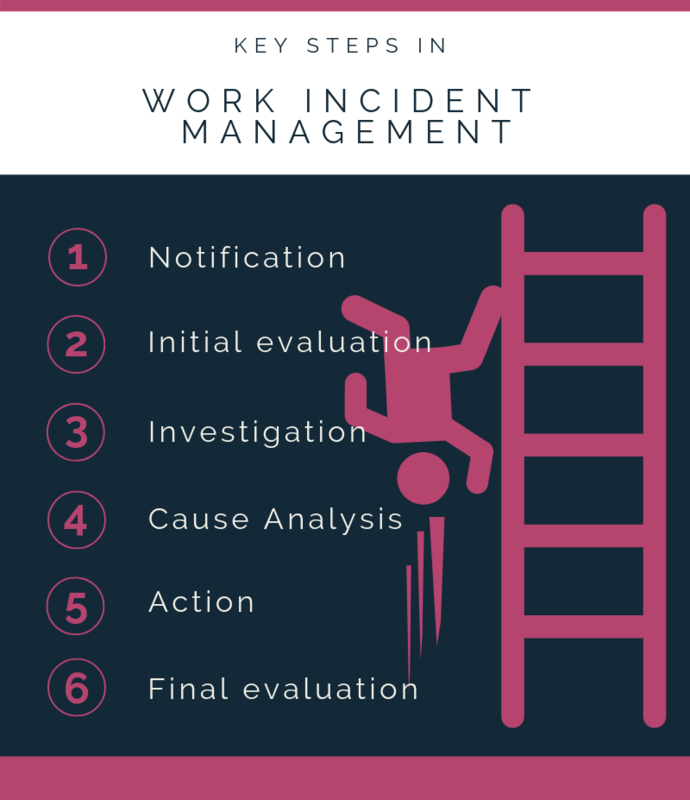 Although Incident Management is a broad term used in many practices, when we talk about Environment, Health and Safety (EHS), most companies adhere to the same process for Work Incident Management. However, it is essential to follow a few steps to ensure the effective addressing of incidents. Learn about the essential steps in the incident management process in this article and whether you are following all of them. Incident management provides information about the cause of a problem and helps prevent its recurrence (we all know how much these events can cost a company). Without a doubt, standardization of the incident management process improves data comparability and increases efficiency. However, 60% of companies do not use commercial software to automate this practice, which leads to poor visibility and missed opportunities to increase safety in the work environment. Leading companies often use a system to manage the incident management process with automation, standardization and transparency. However, regardless of whether you use software or not, the incident management process should follow some key steps. If you have software, notifications are made by filling in an electronic form. Once submitted, notifications are distributed to the appropriate evaluators based on information such as location, type and severity. An investigation is usually the most time-consuming phase of the incident management process. It mainly involves qualitative data, which takes time to gather. The rigor, precision and punctuality of an incident investigation are greatly benefited by the use of software. An investigation involves a large amount of data, including personal and confidential data, which must be carefully documented. For example, you should ensure security to protect witness testimony and health records, a regulatory requirement recently imposed by the European Union GDPR. Finally, the analysis will reveal a series of failures that lead to the event and to possible latent failures. To address these failures and avoid recurrences, you must define a corrective action plan. Actions are important in almost every incident, especially following an investigation and analysis. However, determining the causes is only useful if you take actions to correct them. Actions can be defined in any incident management stage, but the most valuable ones come after the analysis. Usually, actions that address immediate causes are carried out on the site, while actions to address latent failures are handled by management and take longer to complete. All updates and evidence should be registered in a central and visible location to ensure the incident management team is aligned. The final evaluation will determine whether the incident registration can be closed. Evaluators should review all stages of the process and approve the conclusion or request further actions. Only those with appropriate authority can approve or reject the process, and all approval or rejection comments should be registered. A best practice is to make comments mandatory in approvals or rejections. The incident is closed following approval, but this is not the end of the incident management process. In a broader context, registered work safety incidents produce a large volume of information that must be monitored in order to improve general safety processes and reduce risks. You must have observed that in many of these steps using a software solution provides a number of benefits. If you are still not using any software to help you register not only incidents, but also the entire EHS management process, take a look at SoftExpert EHSM, the SoftExpert’s solution for environment, health and safety management.